This new machine uses our Time Tested 200 Series cut-off saw in combination with a lineal positioner to push feed material and automatically cut it to an assortment of predetermined lengths. You can also download a cut-list from a variety of programs with optional software. 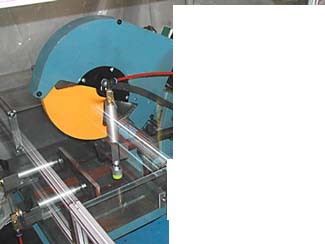 The machine includes a 3 h.p. 3 phase motor with magnetic starter, 12" blade capacity, hold down clamps, lineal positioner and support tables. 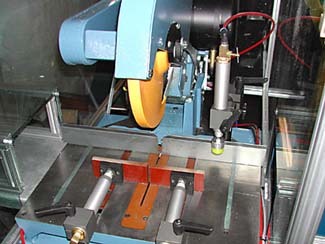 This integration of CTD’s Saws and lineal positioner make for a unique combination Autofeed Cut-Off System. The PF200 will use a 16’ positioner or feeder will feed up to 12’ long material, longer lengths are available to feed, clamp and cut wood, plastics or aluminum. 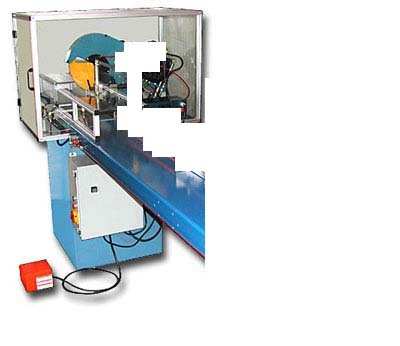 Each machine will include a safely guarded machine with safety interlock feature.